The Law of Contract discusses the legal aspects of the key areas of ‘Law of Contracts’ and ‘Specific Relief Act 1963’. 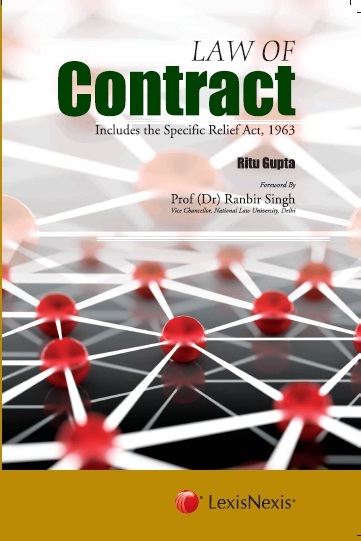 This book is divided into three parts: Part-I deals with the general principles of contracts, Part-II deals with the specific contracts, and Part-III covers section-wise commentary of the Specific Relief Act, 1963. The book is intended for law students, lawyers, professionals, corporate houses, judiciary, academicians, researchers and candidates appearing for various competitive examinations like Judicial Services, UPSC, Bar Council and UGC-NET. This book is a modest attempt to contribute towards the development contract law jurisprudence in India and will prove to be valuable for readers.